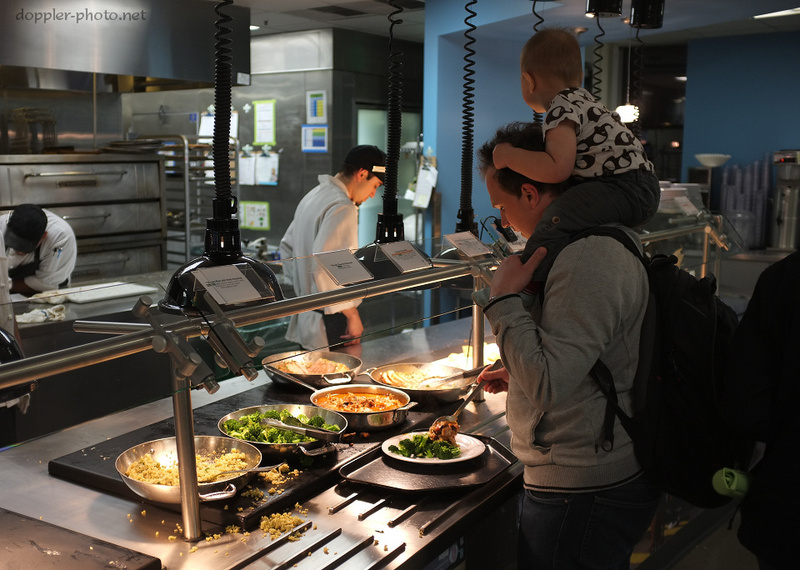 A man gets dinner as his child holds on for the ride. "What time is it? Lemme see your watch!" 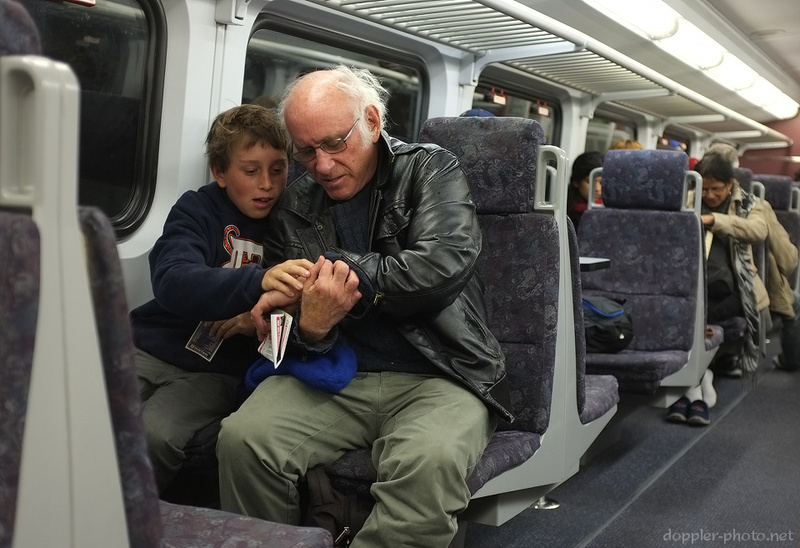 A boy eagerly checks the time on a relative's watch as they ride on Caltrain. The two were returning from AT&T Park on Saturday, where they watched the UC Berkeley Golden Bears trounce the Washington State Cougars with a 30-7 final score.